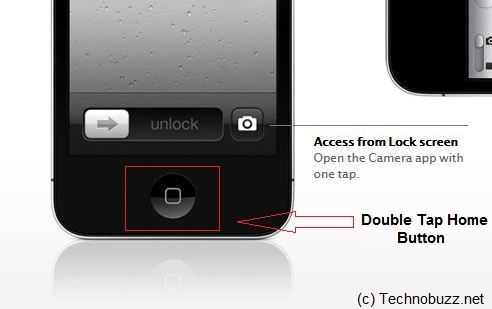 Access Camera from Lock Screen is one of the best feature we like most in iOS 5 for iPhone, now you can open the Camera app with one tap from Lock screen. Now need to Unlock the screen and select camera app. This allows you to rapidly pull out your iPhone and take pictures without having to unlock the iPhone or clicking on the camera app. 1. Its Simple to use just Double tap the Home Button, now you can see the camera icon on your Lock screen. 2. Tap the camera icon and you are ready to go take the pictures. 3. 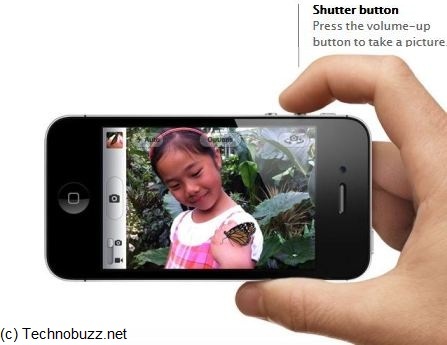 Once the camera is open, now you can press the volume-up button to snap your photo in the nick of time.